Both posters can be found in my Zazzle shop in two sizes: a perfect-for-the-office 10″ x 16″, and a twice-as-large 21″ x 33″; either lends themselves to framing. Customizable options: Different paper weights and finishes, including canvas, and framing … Affordable already, Zazzle’s having a 15% off sale; shop now! 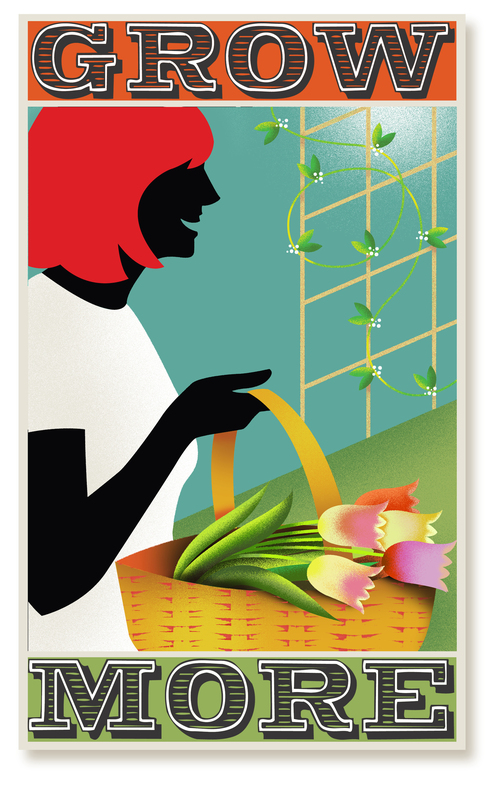 Click to order small GROW MORE FLOWERS poster. Click to order large GROW MORE FLOWERS poster. Click to order small GROW MORE VEGETABLES poster. 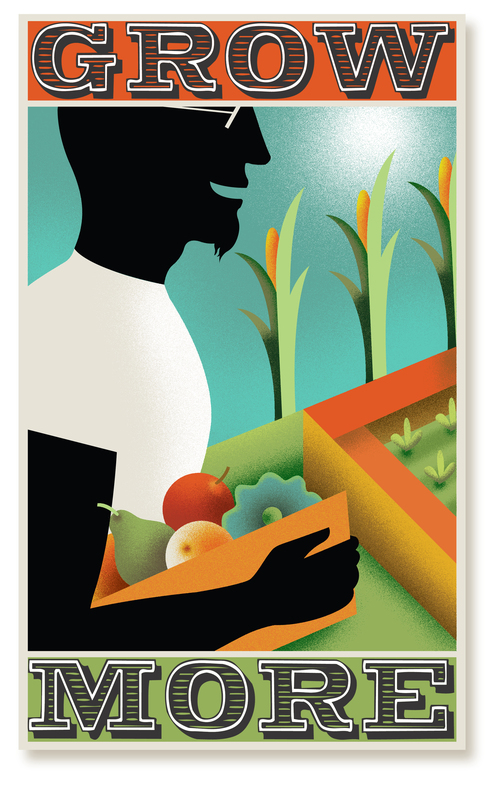 Click to order large GROW MORE VEGETABLES poster. Coming soon: a GROW MORE SUCCULENTS poster featuring Frito and Inky! LOVE the color combinations in the posters! They’re so happy and pretty. Thanks, Carol, I glad you like them!